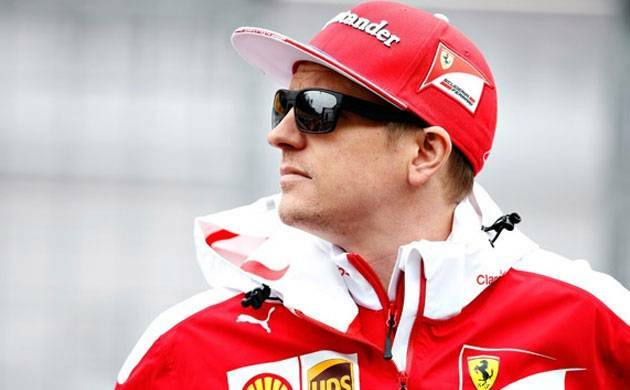 Kimi Raikkonen secured his first pole position for nine years on Saturday when he outpaced his Ferrari team-mate Sebastian Vettel in a dramatic qualifying session for Sunday’s Monaco Grand Prix. The 37-year-old Finn, who had not taken pole position for 128 races stretching back to the French Grand Prix of 2008, dominated the afternoon’s action to clock a fastest lap of one minute and 12.178 seconds. That left him 0.043 seconds ahead of the world championship leader and three-time champion Vettel who in turn was just two-thousandths of a second faster than third placed Valtteri Bottas of Mercedes. The Finn’s Mercedes team-mate Briton Lewis Hamilton failed to make progress from Q2 and missed the cut for the top ten shootout, qualifying 14th after a miserable afternoon. Dutch teenager Max Verstappen took fourth place ahead of his Red Bull team-mate Australian Daniel Ricciardo, Spaniard Carlos Sainz of Toro Rosso, Mexican Sergio Perez of Force India and Frenhcman Romain Grosjean of Haas. Briton Jenson Button, back from retirement to replace two-time champion Spaniard Fernando Alonso who is racing in the Indianapolis 500, was ninth for McLaren Honda ahead of his team-mate Belgian Stoffel Vandoorne. Button has a 15-place grid penalty for engine replacements and that is expected to lift Hamilton up to 13th. On a perfect azure afternoon, with an air temperature of 27 degrees and a track reading of 53, Q1 delivered few surprises other than the early exit of Frenchman Esteban Ocon of Force India, who had crashed at Casino Square in the closing minutes of the morning’s final practice session. The Q2 session began with the two Finns Bottas and Raikkonen on track swiftly followed by the title contenders Vettel and Hamilton, who survived a big ‘moment’ at the top of the hill en route to Casino Square. It proved costly for Hamilton whose first flying lap was more than a second adrift of Raikkonen’s early fastest. “No grip, Bono,” said Hamilton, talking to his engineer before he was stopped at the weighbridge on his way to Mercedes’ pits. By then, Raikkonen had clocked a 1:12.231 to leap half a second clear of Verstappen at the front until Vettel slotted into second on his second run. In his haste, Hamilton weaved to heat his tyres and then had a major slide at the exit of Casino Square before he locked up at Mirabeau. “Something wrong with the car,” he reported. With just seconds remaining, Hamilton’s hopes were ruined when Belgian Stoffel Vandoorne went into the barriers at the Swimming Pool exit, yellow flags flying. “That’s me out, right?” said Hamilton, deprived of a clean lap and condemned to qualify 14th, one of five men eliminated along with Russian Daniil Kvyat of Toro Rosso, German Nico Hulkenberg of Renault, Dane Kevin Magnussen of Haas and Brazilian Felipe Massa of Williams. “Yes, toasted,” came the reply for Hamilton as he pulled in to the pits, his chest heaving and hands waving with frustration.